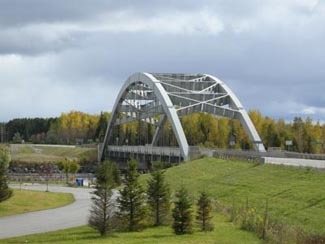 This entry was posted in Temiskaming and tagged big weird things, boating, hiking by Highway11.ca Editor. Bookmark the permalink. I grew up living and working at Camp Caribou on Lake Annimanippissing in the summers of the 70′s to about 1990. Favorite and best memories of the people who stayed in the cabins, the many things I learned and the great appreciation I have for history, the outdoors and wildlife. Very much miss the area and am excited to be visiting in July of 2019 with the True North Voyaguer Brigade. We as a Family came to Latchford when I was young, Mom and Dad found Latchford on the map and we decided to Vacation there in 67-68. Dad met an Indian by the name of Neil and was in the Canoe race in 68 for the Centenial. We returned in 77-78. That was our last trip North as Dad passed in 92, and wanted to so badley to come to the 100th anniversary. We have very fond memories of our trips there and hope to return one day.. I lived in Latchford until 1955. I was one of the Grozelle’s and my parents were Roy & Margaret Grozelle, I still have the greatest memories of Latchford & all the fun we had as kids. Only half of the skill testing question is on the screen so I couldn’t see it all to answer it. I hope this will go through anyway. My Dad moved to Latchford in 1983. I was thirteen at the time. I didn’t really think that a town with a population of 500 people would be the best place to be. I quickly learned that it was the BEST PLACE TO BE!! We have lived in alot of different places be LATCHFORD is the only place that I really enjoyed. So much to do as a kid. Old home week, teen dances, swimming with your friends at the lake.Working in Paiges BP doing dishes, knowing that when your done…..you get the best fries & gravy…oh ya!! Talk about a great town. I visited the Town of Latchford when I was a child. My father took us up to visit his cousin who lived just outside of New Liskeard. We went to the museum in Latchford to find out how the town got it’s name. My great-grandfather Jackson Latchford was a sheriff in New Liskeard. Unfortunately we found out the town was not named after him or our family. 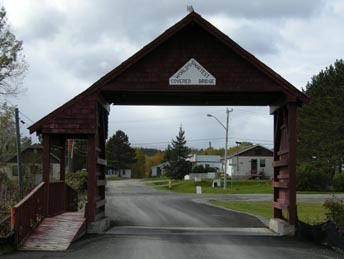 Latchford was a nice place to visit and I loved the covered bridge. where cna i get one still ?? Latchford was a safe place to grow up – the only worries walking at nighttime were running into bears or wolves. Life does move at a different pace and takes getting used to after having lived in larger communities. I plan on going back for a week of relaxation this summer, once the herds of mosquitoes have been been before I get there. Hi! My grandfather owned AB Gordon Lumber Mill – do you have any photos from your time there by any chance? There are numerous pictures of the Gordon Mill still available around Latchford and in the Museum. I grew up vacationing near Latchford and at one time lived there. In fact, I still have family there (Hi Rob and Lynn). 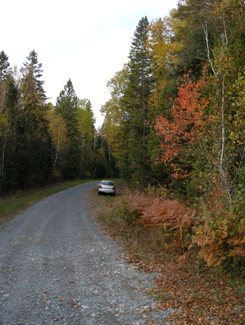 I have lived many places since then but I have yet to breathe fresher air, drink cleaner water, or witness anything as beautiful as fall on the Animanip road in Latchford. It will always feel like “home” to me. I visited Latchford in the summer of 2009. We enjoyed swimming at the beautiful beach then had a great meal at Wilk’s. We were welcomed by friendly staff and a warm atmosphere. Latchford is an excellent place to just unwind, relax and enjoy the scenery. Latchford is the home-town of my lovely and beautiful wife, Candace. Any town that could produce such a wonderful woman is a-ok by me. I really love it up here, as it’s such a contrast to Toronto. Things move at a different pace, and there is time to contemplate here. Plus the lakes and trails are fantastic for kayaking, cycling and hiking.